Fall is almost here.....Pumpkins will be everywhere! #1 ~ Did you know that Native Americans used pumpkin meat and seeds to treat wounds, parasites inside humans, and kidney disorders. Pumpkin seeds are a natural treatment for deworming for tapeworms and other parasites in both dogs and humans. It is recommended that you give your dog a teaspoon of pumpkin puree per 10 pounds of dog weight - twice a day until the parasites are gone. Example: Diesel weighs 18 pounds so I would give him 1 teaspoon at his morning and evening feeding. Kingers weighed 100 pounds so he would get 5 teaspoons at both morning and evening feedings. #2 ~ Pumpkin seeds & meat have lots of essential fatty acids and antioxidants in them. The oils in pumpkins are great for their fur and skin. #3 ~ Pumpkin is a great source of FIBER. Two times a week I add about two teaspoons of pumpkin puree to Diesel's to help keep him regular. Diesel weighs 18 pounds. When Kingers was alive he weighed 100 pounds - I would add two tablespoons to his food. #4 ~ Pumpkin meat is also good for your dogs urinary health. WHY is PUMPKIN so GOOD for your DOG? Pumpkin contains vitamins and nutrients needed for dogs to live a healthy life. Pumpkins are backed with protein, amino acids, copper, iron, phosphorus, zinc, magnesium, potassium, niacin and folic acid. All nutrients needed for a healthy happy dog. I had no idea! I am going to make sure Milo gets some pumpkin this year. Well whoda thunk you could get a dog to even eat pumpkin! I will pass this info on to my friend. We eat pumpkin a lot... so yummy! I have heard that pumpkin is a really good food to feed your dog! We are actually growing quite a few in our garden, so I'm sure our pooch will get some soon! I didn't know that pumpkin had so many uses! I love using it in tons of recipes! I remember being surprised when our vet told us that pumpkin would be good for our dog. I had no idea! we give our pup pumpkin and rice when she has a belly ache. When we got our rescue puppy from Alabama, she had been on the transport for over 24 hours and got a very upset stomach right when we got her. Pumpkin really seemed to help her! We always keep it around because of that. Wow. I did not know this. I will keep this in mind. I had no idea! This is a cool little tip for dog owners. Another reason to pick up a pumpkin this fall. Great info! The veterinarian actually recommended pumpkin puree for my mom's dog who has some health issues and she said it actually has helped! I honestly had no idea that pumpkin was even ok for dogs to ingest. Love this and had no idea! I can't wait to try it with mine! I know my daughter's dog loves carrots and sweet potatoes too. My turtles love pumpkin and it's so good for them too. Pumpkin is great for dogs, just make sure its 100% pure pumpkin without any added sugar or spices (ie: not pumpkin pie filling). This post was quite interesting. In all my life I have never heard about a dog eating pumpkin. You really can learn something new every day if you try. I did not know the natural uses for pumpkin. I think this is interesting though! I had no idea! Nice to know our pup can enjoy some of the flavors of the fall season with us now. This is all news to me. I had no idea but now see that so many people do it. Very interesting. I saw this on your FB page and was shocked. I had never given my dog pumpkin because I wasn't sure if it was OK. I can't wait to start adding it to my dog's diet this fall! I have always heard that pumpkin was good for dogs. I will have to give it to mine! Oh wow I had absolutely no idea! I'll have to pass this on to my dog-owning friends and family! we make sure to give him canned pumpkin. We know lots of dogs that got upset tummies over the raw versions. Big tip. Make sure you get canned pumpkin and not pumpkin filling. Trust me. That's a disaster. I had no idea that dogs could have pumpkin. That's pretty great. They can have "table" food that's good for them. I'm glad that pumpkin is good for dogs. One of our dogs loves it! We always let her have the leftover pumpkin from our fall baking. I did not know this. I just enjoy learning new things and we love our furry baby so much. I had no idea you could let your dog eat pumpkin. I am going to make some pumpkin dog treats! Pumpkin for the Pooch who knew? I will pass this info to my fellow dog lovers. I must admit, I never knew pumpkins were so useful! Thanks for this great info! I heard this too! We actually used to feed her pumpkin anytime she would get an upset stomach, it helped cure it. I had no idea the benefits of pumpkins. Does that mean I can enjoy pumpkin cheesecake? I think it's great that pumpkin is good for dogs. 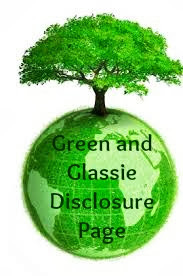 I didn't know that, and will certainly pass the info on to others. I had no idea about all of this. We spend so much time trying to keep all people food away! My Sister makes her dogs treats with pumpkin in them. The dogs love them and it is so good for them. This is really interesting. 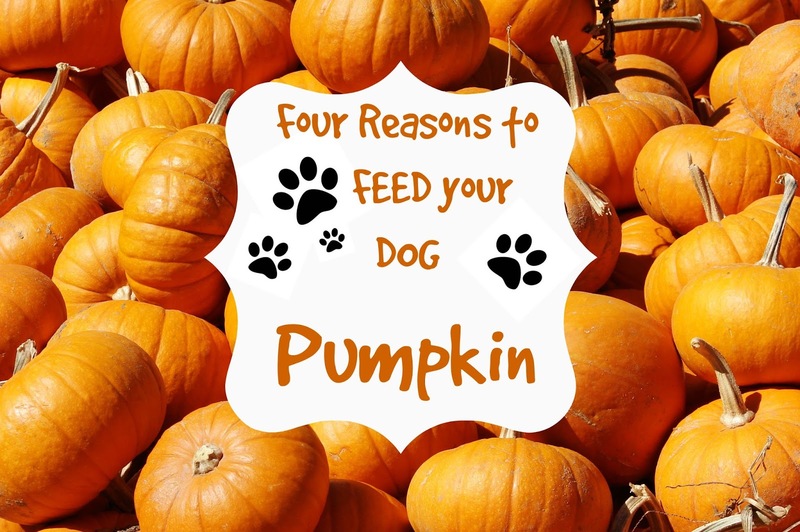 I never knew the benefits of eating pumpkin for dogs! I never even knew that dogs could eat pumpkin. This is a really interesting post.